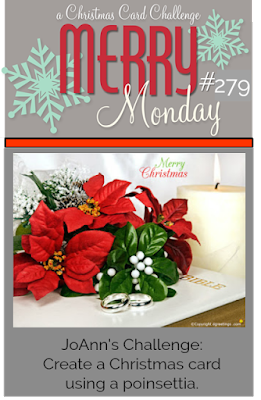 We have a new Merry Monday Christmas card challenge, JoAnn is our hostess and her challenge is to Create a Christmas card using a poinsettia. I love this rustic style paper and I could not resist using it for this challenge. The paper pad also had the perfect sentiment panel too. I added grey cardstock to each layer then finished with twine and gems. Stop by the Merry Monday blog to take a look at all the lovely cards created by the design team. I love your soft, beautiful card! Nina, I love your sentiment on this wonderful card! And your row of white poinsettias is so very pretty! Have a great week! 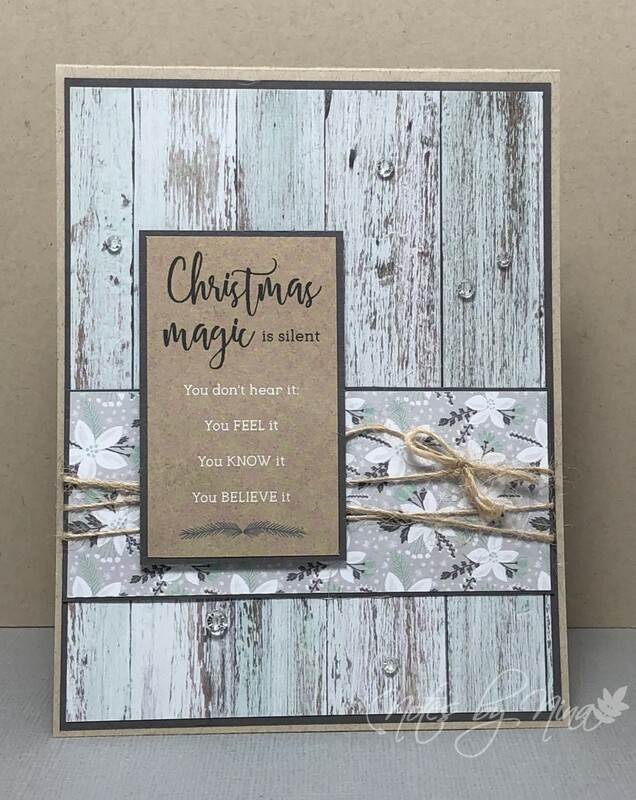 Beautiful rustic card, Nina! Just love the soft neutral papers and how you tied the twine!! Gorgeous wood grain paper to go with the pretty white poinsettia's! Gorgeous and I love your take on the inspiration photo, so clever and just beautiful. Lovely card Nina with your rustic look. Hope you are having a wonderful week. Pretty card Nina. Love the papers and that wonderful sentiment.